Whether you’re celebrating a birthday, graduation, or some other type of special event in life, there’s a good chance a cake will be involved. For some reason, we have chosen cakes to be the go-to dessert for parties. While shows like Cupcake Wars and Ace of Cakes would have us believe the delicious dessert is the crowning moment of any party, the opposite can also be true. 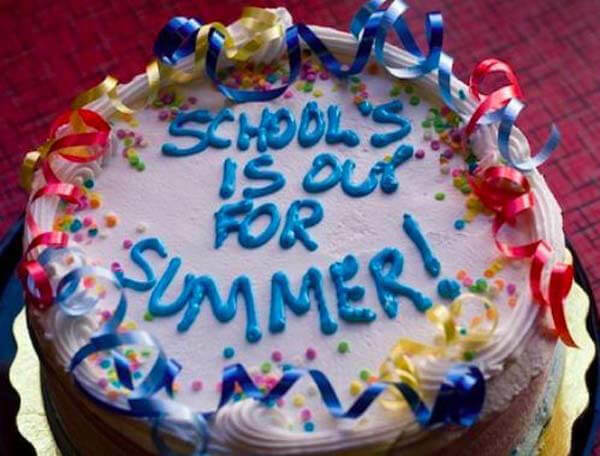 If you’re going to request a cake to celebrate the end of the school year, perhaps it would be best to double, triple, and quadruple check any spelling you are including on the dessert. In all fairness, this person didn’t say they were celebrating good grades in English class. School may be out for the summer but it’s time for this cake decorator to apply for summer school. This is a good reminder that you need to double-check what you bring home for the big party. Here’s to hoping they didn’t invite their English teacher to their end-of-year celebration.